Amazon DynamoDB Goes 'On-Demand' with Pay-Per-Request Pricing — Amazon’s popular DynamoDB key-value store has adopted an optional on-demand pricing option that avoids the need to provision capacity ahead of time. First Major Kubernetes Security Flaw Unveiled — The first major security flaw in the popular cloud container orchestrator Kubernetes has been discovered - it’s a privilege escalation vulnerability and detecting if it has been exploited isn’t simple. Patched releases are already out but you need to upgrade older Kubernetes versions ASAP. Watch How to Create a Terraform Provider for Almost Anything — Terraform is an incredibly powerful tool that lets you define your infrastructure as code. 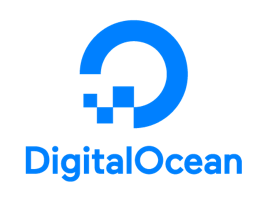 Learn how to contribute to an existing provider or create your own from scratch by watching Eddie Zaneski, Manager of Developer Relations at DigitalOcean. Introducing Cloud Native Application Bundles (CNAB) — Microsoft, Docker, Hashicorp and Bitnami have collaborated on this spec for packaging distributed apps along with their coupled services in a cloud-agnostic way. Initial support has been released as part of Docker App. QUIC and HTTP/3: Too Big to Fail? — We’ve recently mentioned HTTP/3, the new name for the idea of delivering HTTP over QUIC. This post looks at the potential problems on the way to an HTTP/3 world. AWS Lambda Gains 'Layers' For Code Sharing Between Functions — Last week was a huge week for Lambda, the AWS serverless platform, as it introduced Layers which lets you centrally manage code and data shared across functions, as well as a way to use any programming language with Lambda. Lambda also introduced native support for both Ruby and C++. EC2 Gains Support for Instance Hibernation — As of today, instances of various types that are running Amazon Linux 1 can be hibernated. The hibernation process stores (and restores) the in-memory state of the instance to the root EBS volume. Simplifying Kubernetes with Docker Compose and Friends — Docker has open sourced support for using Docker Compose on Kubernetes, a feature previously limited to Docker Enterprise. HTTP/2 and the HOL in the Waterfall — Head-of-line (HOL) blocking with HTTP is the concept of an HTTP request blocking further ones from being dealt with, a common HTTP/1 issue. But does HTTP/2 entirely solve it or just introduce new problems? Free eBook: Actionable Continuous Delivery Metrics — This eBook provides you insight into your CD pipeline & helps you to improve your CD process with metrics. Building Serverless Python Apps Using AWS Chalice — Chalice is a Python framework built by Amazon Web Services. Logs from the Edge — With Cloudflare’s Workers serverless plaform, it’s possible to send traffic logs to arbitrary locations - here’s how. Testing the Performance of Linux Distributions on AWS EC2 — Several Linux distributions (Amazon, Clear, Debian, Red Hat, SUSE, and Ubuntu) go head to head in a benchmark on EC2. Intel’s Clear Linux distribution won a majority of the rounds. The Path to Production: How and Where to Segregate Test Environments — An overview of the an idea of the stages, tests, and quality gates your pipeline could contain. Stop Calling Your APIs Microservices — Thoughts on the relationships between APIs, microservices, and containers. Kubernetes 1.13 Released — Three notable features: simplified cluster management with kubeadm, Container Storage Interface (CSI) is now GA, and CoreDNS is now the default DNS server. AWS Outposts: Run AWS Infrastructure On-Premises — An interesting option coming for heavy AWS users (or those with very deep pockets, we suspect) in 2019. The AWS Well-Architected Tool — A self-service tool on AWS to help architects and managers review AWS workloads at any time and compare them to AWS best practices. dnsrecords.io: A Quick Web-Based DNS Records Lookup Tool — Possibly useful if you haven’t got a terminal open..